Designed to handle any job. 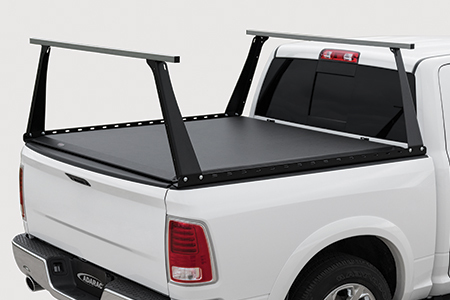 The ADARAC™ Truck Bed Rack provides new opportunities when carrying cargo for play or work with added levels of storage both above and below most inside the rail roll up covers. 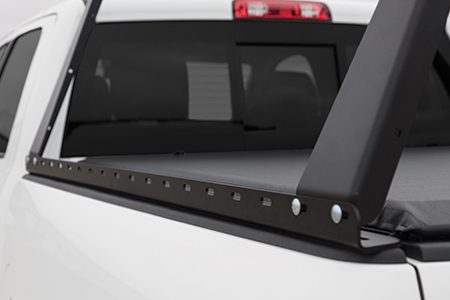 This durable truck rack has an easy, no drill install with stake pocket inserts. Engineered with extruded aluminum cross bars with powder coated steel rails and uprights. 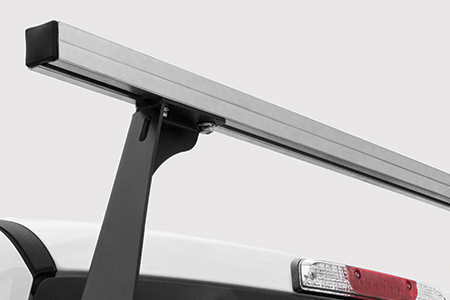 The model specific pickup bed rack creates a handy and safe way to easily transport a 500 lb. load. 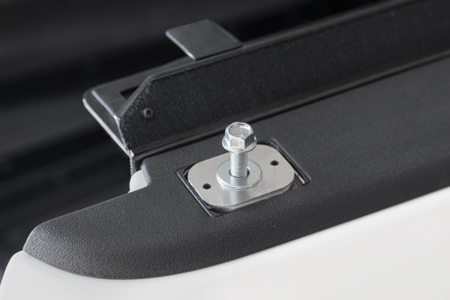 The uprights can be conveniently removed or repositioned and are contoured to the cab for an aerodynamic design. 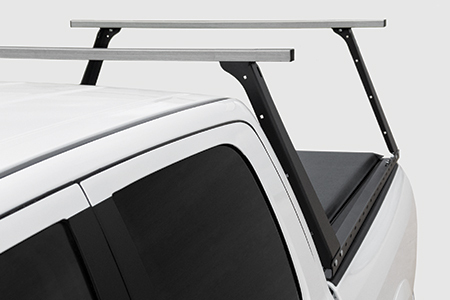 The pickup bed rack system supports your lifestyle by adapting to your needs and exceeding your expectations. Height above the box rail: 25 in. for full size and 27 in. for Super Duty trucks. Optional load dividers sit an additional 3 in. above cross bars. 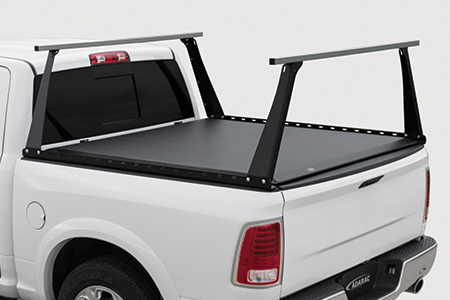 Click the button below to add the AGRICOVER INC. 90210 ADARAC 14-ON Chevy / GMC Full Size 1500 6ft 6inch Bed to your wish list.